Receiver Carlos Henderson's agent said he will start training camp on the Did Not Report list for personal reasons. KUSA – Broncos receiver Carlos Henderson has reached another hurdle in his attempt to get his NFL career going. 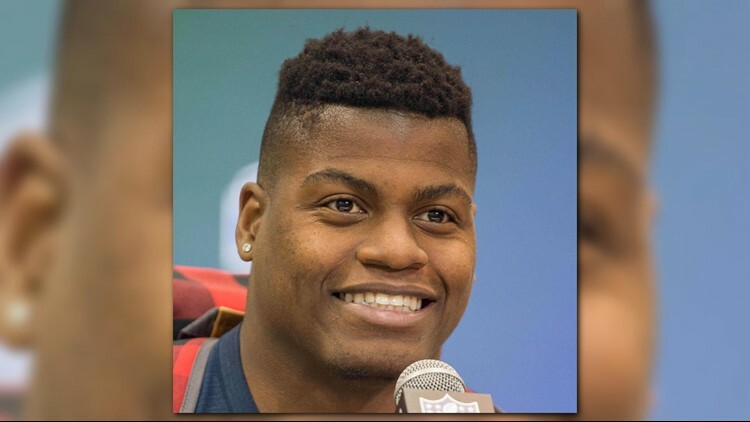 A third-round draft pick by the Broncos last year, Henderson will start training camp on the Reserve/Did Not Report list for what his agent told 9NEWS was for personal reasons. 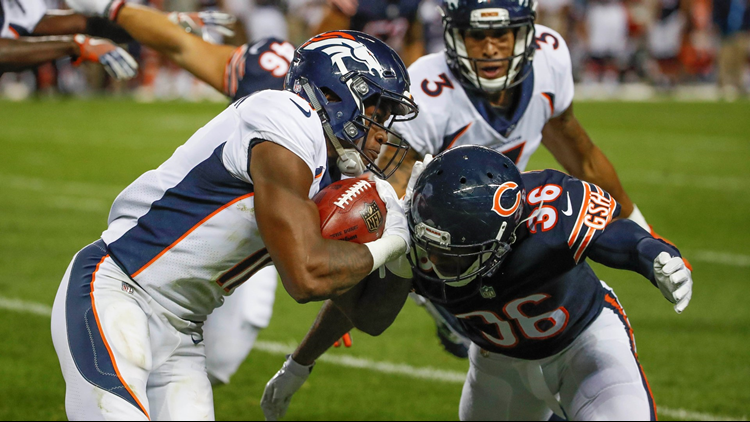 “Carlos Henderson will start camp on an exempt list as he’s dealing with a family and personal situation,’’ said Erik Burkhard, agent for both Henderson and Broncos’ most recent first-round pick Bradley Chubb, told 9News on Wednesday morning. “We’ve spoken to coach (Vance) Joseph and the organization and they are fully aware of this this and have been supportive. Carlos Henderson returns the opening kick off against the Navy Midshipmen at Amon G. Carter Stadium on Dec 23, 2016. The Broncos placed another reciever, undrafted rookie Jimmy Williams, on the same do-not-report list. Williams played college ball at East Carolina and received a decent, $10,000 signing bonus from the Broncos. The Reserve/Do Not Report list allows the Broncos to sign two other players while maintaining their rights on Henderson and Williams. If or when Henderson or Williams report, they can be reinstated with an approved letter to the league office. The Broncos filled one spot with rookie Mark Chapman, who had 59 catches for 875 yards and five touchdowns as a senior at Central Michigan last season. Although Chapman was undrafted by the NFL, he was the No. 1 overall draft pick of the Canadian Football League as he was selected by the Hamilton Tiger-Cats. Chapman never reported to Hamilton, though, as he could not work out a contract agreement. When the Broncos called, he decided to take a chance -- even if it's a longshot chance -- to play in the NFL. 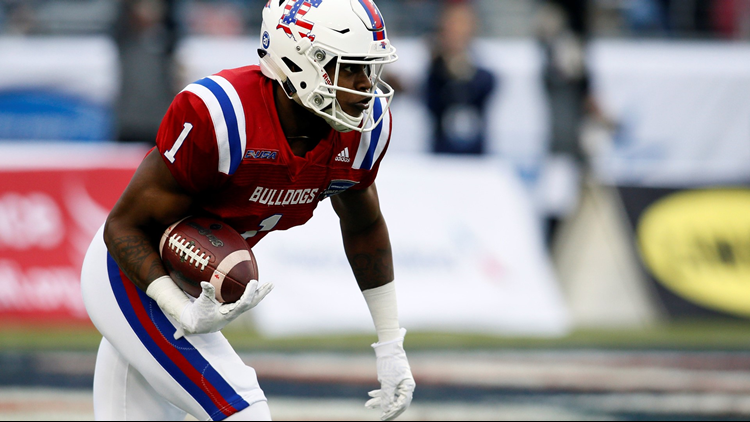 Henderson had a sensational junior season at Louisiana Tech, where he had 82 catches for 1,535 yards and 19 touchdowns – plus added two more scores rushing and another two on kickoff returns – the Broncos took Henderson in the third round last year with plans of developing him into their No. 3 receiver behind Demaryius Thomas and Emmanuel Sanders. Instead, Henderson struggled during his first offseason camp, then bobbled two kickoff returns before suffering a torn thumb in the preseason opener at Chicago. Henderson was placed on season-ending injured reserve before the regular season began. And now comes news Henderson will not be getting on the field when the other Broncos report. He was scheduled to report Tuesday with rookies and other first-year players. The Broncos do have the right to fine him as Henderson deals his personal issues. The Broncos protected themselves against Henderson’s slow development by drafting two receivers in April – Courtland Sutton in the second round and DaeSean Hamilton in the fourth.